Ron has been fortunate to have worked with some extraordinary horsemen who have helped him develop an understanding of what a horse needs to excel at his job. 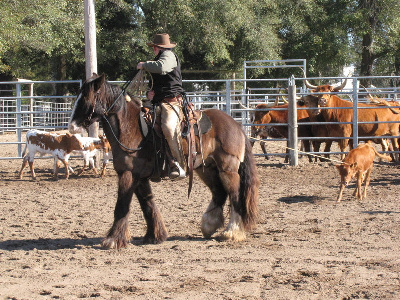 At his farm in Erin, Ontario, Ron starts horses and helps horse owners improve their horsemanship. 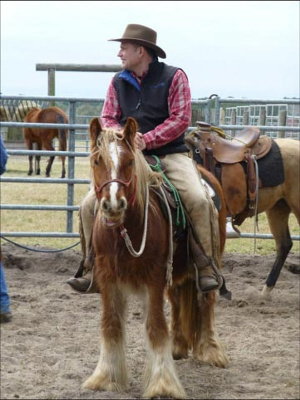 Ron gives clinics on the essentials of horsemanship. In his clinics Ron focuses on the small details that make the big difference thus promoting more harmony between horse and rider. "The mastery of horsemanship involves the development of patience enough to observe what is taking place without judgement and the wisdom to adjust to fit what is taking place in a manner that best suits the horse. Wisdom that is gained by developing the ability to remember and compare what suits the horse and what does not. The desire to attain such wisdom must be greater then all else; pride, vanity, ego, everything."